I am pleased to report ProModel’s second quarter was very positive. Like many businesses in the US we find ourselves on a serious upswing this Summer of 2014. Our consultants are working on several projects in a variety of industries, including ship building, power management, retail, manufacturing, food processing, and government contracting. In all of these projects our experienced team of consultants is working to improve efficiency, save money, and make better decisions for their clients. ProModel’s DOD projects continue to thrive. It is hard to believe it has been eight years since we started working with FORSCOM (US Army Forces Command) on AST (ARFORGEN SYNCHRONIZATION TOOL). LMI-DST (Lead Materiel Integrator – Decision Support Tool) with the LOGSA Team (US Army Logistics Support Activity) is also going strong. Our agile team of software developers keeps improving the development process within ProModel and it shows. Just recently the NST Airframe Inventory Management Module was Granted Full Accreditation by the Commander, Naval Air Systems Command. The time is also ripe for opportunities in Healthcare. Our patient flow optimization capabilities are perfect for helping hospitals and outpatient clinics improve efficiencies. Now that the Affordable Care Act has been around for a couple of years, its impact is being felt by healthcare organizations around the country. The expanded insured-base, and the need for improved processes and different care models is making it absolutely necessary to consider the value of modeling and simulation. ProModel continues to work with several facilities including Presbyterian Homes and Services, and Array Architects who enhance the flow in Healthcare Facilities design by using MedModel simulation in their design processes. To better support our base of existing customers, we just released ProModel/MedModel 2014 in July and PCS Pro 2014 at the end of Q1. 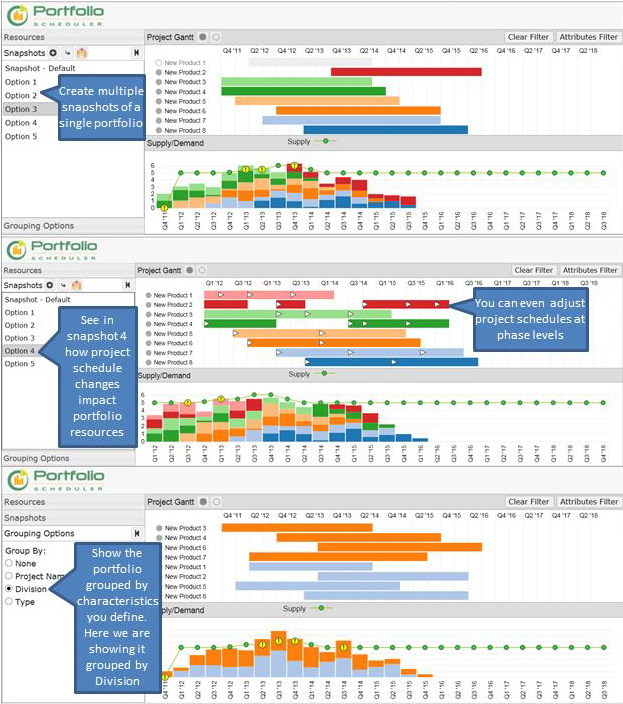 EPS 2014 (Enterprise Portfolio Simulator) was released in Q2 and includes a new easy to use, web-based rapid scenario planning tool – Portfolio Scheduler. You can check this tool out online at – http://portfoliostud.io/#. There continue to be lots of exciting things happening at ProModel. We have an outstanding team of consultants and software developers-designers just looking for an opportunity to PARTNER with you to help you meet the next business challenge, or solve the next unexpected problem. As long as I can remember I’ve been a fan of and often used the expression, “I don’t want to build the microwave, I just want to press cook”. (I’ve never been able to remember when or from whom I first heard it – my apologies for the lack of attribution). While I’ve sometimes been fascinated by the inner workings and origin of things, in the end I’ve come to adopt the modern world and the pace at which it moves. I simply don’t have the time of day to dig into the underbellies of things and investigate the underpinnings of how they work nor their interdependencies. My aversion to such activities was upended when I joined ProModel and led (as a PM) our development team’s efforts to support Verification, Validation, and Accreditation at the behest of our sponsor’s modeling & simulation accreditation agent. While I do not intend to “build the microwave” here, I would like to describe how I learned that the act of “pressing cook” must be accompanied by complete and total impartiality of the software application. Software, in a variety of formats, is often used to tell a story. When it comes to entertainment-based software, and for the sake of the longevity of it, the story should be a very good one. Thus the reason many folks spend countless hours trying to “level up” (it’s all about the journey, not the destination). During my college days, I was exposed to Pascal and learned that the methodology (computer language) for telling a story was via if, then, else, while, etc. statements. Truth be told, I didn’t particularly enjoy trying to figure out how to make the computer say “hello” via that methodology. Again, I am more of a “show me the story” kind of person, than a “how did you make the story” kind of person. In that regard I’m quite fond of the software that exists today. My iPad is a bevy of mindless apps that keep my 5 year old entertained while putting miles on the family wagon. However, when it comes to decision-support software, the stuff under the hood REALLY does matter and is often as equally important as the story itself. Through the VV&A journey we’ve traveled to date, I’ve become more and more focused on inner-workings of “the microwave”, both out of necessity and surprisingly out of curiosity. Our software applications tell stories that often culminate in multi-million dollar and in some cases, billion dollar implications, not necessarily to the good. Not only must the story be stringently accurate, it must also be 100% impartial (or agnostic) to those who might be directly impacted by the results. We accomplish that impartiality by ensuring that we never begin our development processes with an end result in mind. That is not to say that we do not begin with an end-state in mind (i.e. – what is that you want to know?) The difference is nuanced in print, but significant when it comes to applying the right level of acumen and forethought into software development. The true genius of leveraging software applications to solve complex problems is that once you’ve figured out “where and why it hurts”, you can use predictive analytics, modeling, and regression analysis to attack the root of the ailment. In my simplistic mind, our software is being used to treat the condition rather than the symptom. The rigor that has been applied to the VV&A of our specific DoD program of record is staggering when compared to similar applications. And it should be. While many software developers are not particularly fond of documenting source code and defining why a certain script was used, in the end it has made both our customers and us extremely confident about our methodologies, processes, and coding standards. Frankly, (although I’d never admit it to the folks who raked us through the coals) we’ve become a better development team because of it. Combine the penultimate requirements associated with VV&A with our use of the Agile/SCRUM development methodology, we’ve accomplished the delivery of an application that withstands painstaking scrutiny and is adaptive enough to answer evolving customer demands and utility. In the end, the vetting our software application has endured at the hands of the accreditation agent is not the value added propositions our customer demanded, although it was a necessary evolution. What really matters is that we’ve produced a traceable software application that is impartial. It may not always give you the answer you want, but it will always give the answer that you need – the truth. ProModel’s Bruce Gladwin (V.P., Consulting) and Dave Tucker (Director, LSS Initiatives) join web and radio host Karl Wadensten on “The Lean Nation” to discuss the benefits of ProModel Simulation in lean initiatives. Enjoy! Most companies have the same basic question they are trying to answer from a model project. How can I make more stuff quicker? Whether it is manufacturing, government, healthcare, or most any other industry, they all want to get more items through their processes faster and often they want to do it with fewer resources. That’s the climate we are in now. Everyone has to do more with less. I have observed that many problems in Manufacturing can be directly attributed to having too much WIP. Excess WIP inventory ties up money, creates the need for storage, increases cycle time, reduces throughput, and wastes Resources time. But Managers want to keep everyone busy so they allow more work to be introduced into their systems instead of looking for Lean ways to better manage the “pull” of work. Companies that learn to control the amount of WIP to meet their orders always do better financially then other companies that continually flood the workplace with inventory. So I get excited when a model shows some new information that a company has never seen or understood before. When they can see the process waste, understand how to remove it and implement the plan – that’s a great thing. Check out Dave’s work on the Space Shuttle Program with United Space Alliance and NASA…. Dave Tucker is ProModel’s Director of Lean Six Sigma (LSS) Initiatives and also serves as a Senior Management Consultant and Project Manager. He assists our clients primarily by providing simulation training, model consulting services, and LSS implementation advice. 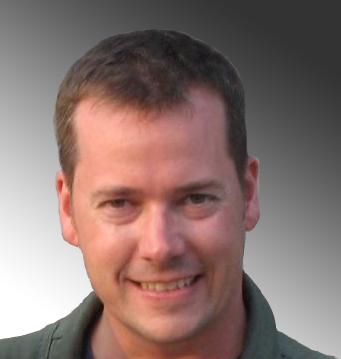 Prior to joining ProModel, Dave was the Lead Lean Six Sigma (L6S) Master Black Belt at United Space Alliance (USA), located at the Kennedy Space Center in Florida. USA is the prime contractor to NASA responsible for the Space Shuttle Program. Dave has over 25 years’ experience leading teams, mentoring employees, solving problems, conducting training, and improving operations. He has led more than forty Kaizen Events, completed dozens of process simulation modeling projects, conducted hundreds of training sessions, facilitated over two hundred Belts & Team Leaders, and assisted with the implementation of numerous process improvements saving millions of dollars. Dave has an extensive background in numerous process improvement tools utilized in Lean Six Sigma DMAIC & DMEDI approaches, as well as Kaizen team methods and process simulation modeling. He has about 14 years’ experience using ProModel process simulation modeling tools for process improvement. In addition, he is a sought after speaker and has made many well-received presentations at Process Improvement, Simulation, Industrial Engineering, and Aerospace Conferences. He has a BSBA in Management from the University of Central Florida. Dave is a Certified Lean Six Sigma Black Belt and a Certified Master Black Belt. The benefits of empowerment are realized as Portfolio Managers redistribute and balance the opportunity portfolio. Opportunities can be selected based on the budgets, thresholds, and constraints of the strategic model. Ways for opportunities to compensate for one another can be identified while maintaining strategic alignment. The unified team (Strategic Planners and Portfolio Managers)―with its synergy of effort―offers greater knowledge than if the Portfolio Managers of opportunity definition and the Capacity Planners of strategic planning work separately. The shared, executable model is key to a common vision, and required to truly join capacity planning and portfolio management. ProModel customers build executable models driven by a discrete event simulator to determine potentials, define competency requirements, and establish portfolio budgets. They use this same model for portfolio management to balance opportunities, and minimize risk. This connection helps establish a common language between strategy and opportunity planning. Our Customers can align product roadmaps to these market opportunities. Power is the rate at which work is accomplished. Roadmaps control that rate. We like to think of it as the throttle of execution. This is where the day-to-day activities of the project meet strategy. Yes, it’s true that the roadmap should be seen as a portfolio. 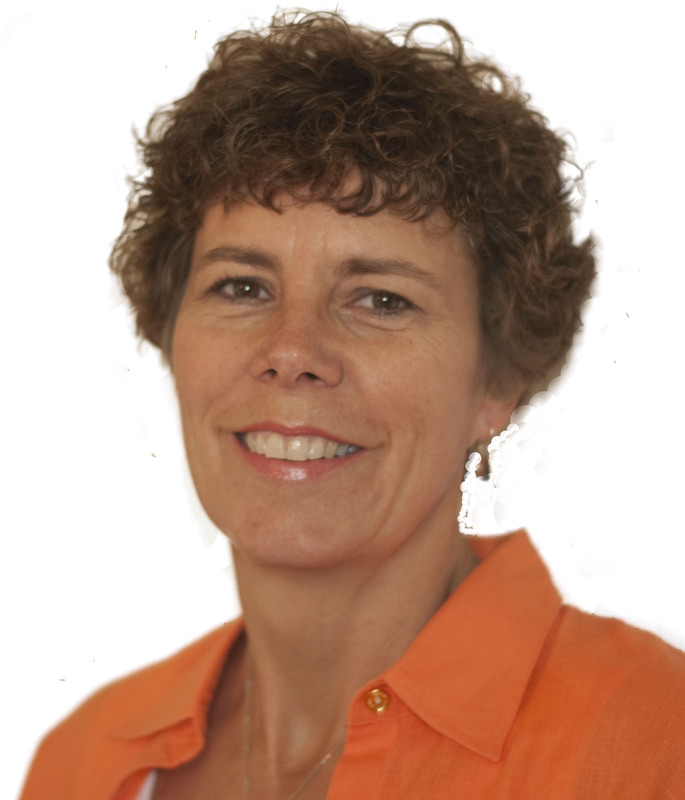 The Roadmapping Team must balance opportunity with capability while maintaining strategic alignment. A shared, executable model helps our customers bridge the gap between the potential and realized returns of the enterprise roadmap, while optimizing the execution rates of the individual projects on that roadmap. Of course risk and reward are balanced, but perhaps the greatest advantage the executable model brings to roadmapping is change impact analysis. For this task, automated reports just can’t address the bursty nature of enterprise change. The averages and estimates of traditional Gantt charts, and strategic plans don’t address the issues of resource availability or future capability needed for roadmapping. Our Customer’s day-to-day decisions required in Market Sensing, Problem, Feature, Requirement, and Launch definition receive direction and focus from these roadmaps. A common executable model, used for strategic planning, capacity planning, portfolio management, and roadmapping helps build a common language, focus, and almost frictionless execution. The model helps everyone on the Innovation Team understand where the constraints came from. The final result is empowerment to the front lines, where decisions are being made. The model, which is connected to the roadmap, opportunities, and strategy can now be used for “What if” analysis. The day-to-day decisions of members on the Innovation Team can be strengthened by the executable model. This executable model is used to gain insight into trends and forces that impact our decisions. By studying the behavior of the model, good decisions can be made without formal analysis. The goal is to empower their Innovation Team with reliable instincts, formulated with facts and modeled experiences, so that when the time comes, good decisions can be made in a timely manner. Members of the Innovation Team gathering market evidence, analyzing the evidence to define problem statements, constructing innovative feature definitions, specifying market requirements, or planning the launch, use the executable model to conduct what if analyses, and change impact analysis to be sure the maximum competitive advantage is delivered within the current business constraints. This three-tier coordination between Strategy, Opportunities, Roadmaps, day-to-day market sensing, problem, feature, requirement, and launch definition can be accomplished through the right type of capacity planning and portfolio management capabilities.